570 Ballarat mining maps, dated between 1870–1890 (approx. ), are now available to search and view online using our catalogue. These maps are of particular interest to local and family historians as they include names of individuals. The maps are specific to the Ballarat district, covering subdivisions of Gordon, Creswick and Ballarat, along with some maps of Bendigo. The maps show land where applications for mining permits were made, along with details about whether the applications were successful or not. Only the names of the people applying for mining permits are included in our catalogue records, however the maps themselves include the names of people who occupied the surrounding areas. 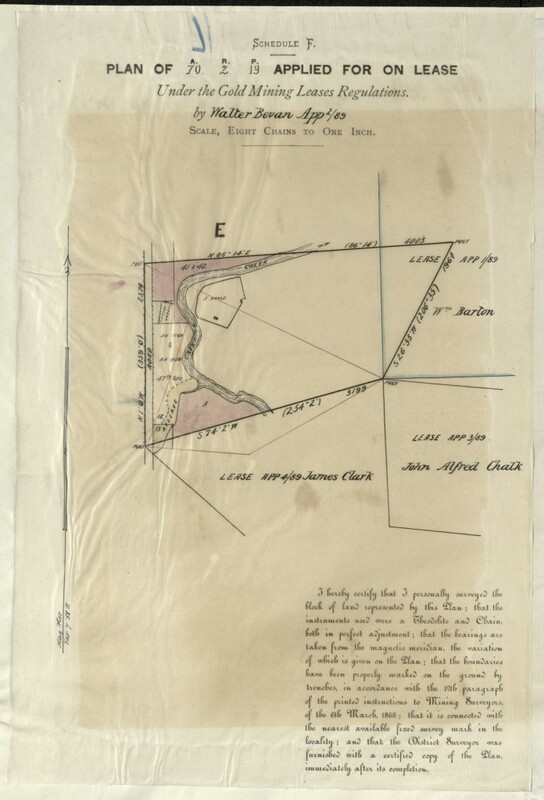 This 1889 Cadastral map shows the location of a gold mining lease in the Ballarat region, the existing land ownership and Creswick Creek. It also includes some Chinese names and Chinese gardens. 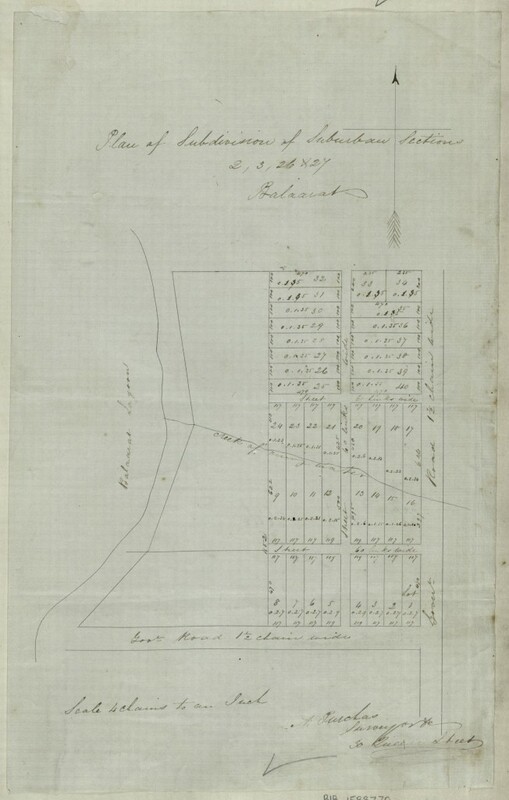 This Ballarat suburban section plan shows part of Lake Wendouree, but refers to it as ‘Balaarat Lagoon’. The digitisation project started in September 2014 and was completed in less than five months. Our collection digitisation manager Shirley Firth said that a lot of care had to be taken when capturing the fragile tissue overlays adhered to many of the maps. These delicate maps are now available to view online in high resolution or download using our catalogue. this is terrific. I wonder about where these maps are in relation to todays countryside. I look forward to working through many of these. What a great project. Thank you to all involved. Fantastic project, thanks so much for this and I know we will get lots of use of it in this area! Thank you very much for all your efforts. Its great to be able to put the peoples names to the places and see it all as it all was at the time. Fantastic Gold Resource. My great great uncle Robert Allan was surveyor on many of these maps. Born of Scottish parents, he later moved to WA. Fantastic job Sarah, well done. 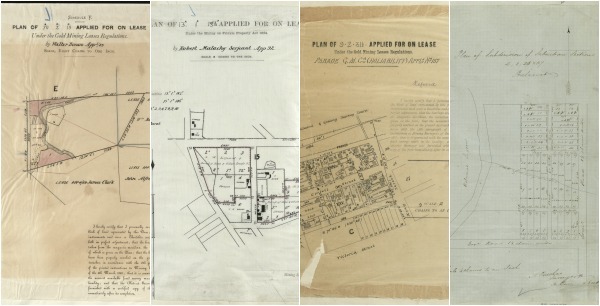 Do you know of any mining maps of the Avoca Maryborough area?